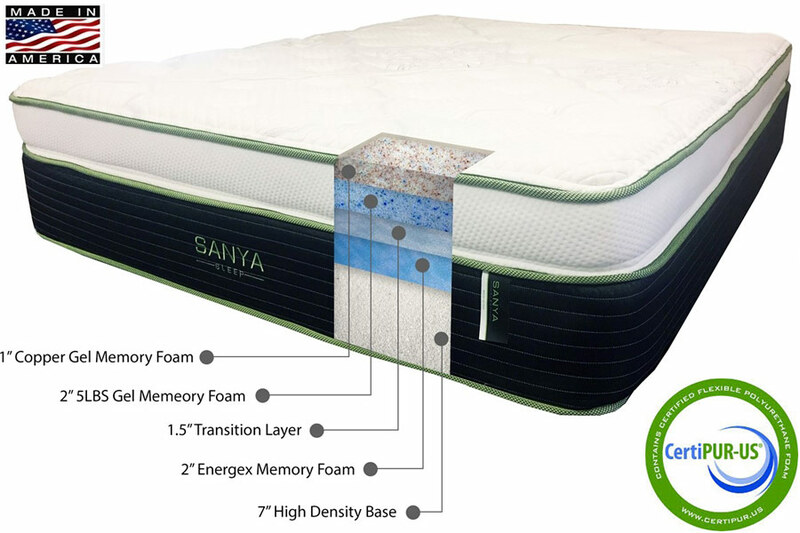 Sanya Sleep's luxurious, medium-firmness mattress, Contessa, combines a striking five layers to create high-end comfort you deserve! 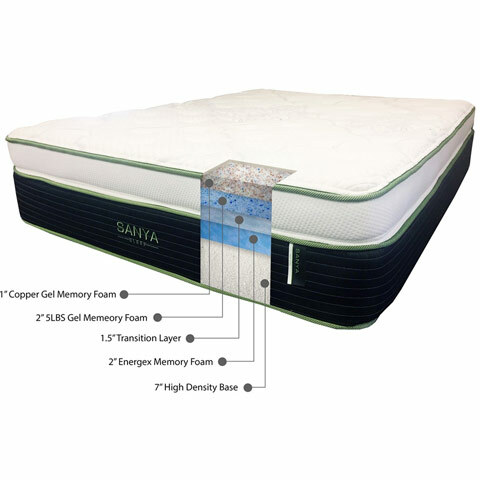 A 1" copper infused gel memory foam on top transfers your body heat down and away while you sleep, with another 2" of plush 5 pound density gel memory foam beneath to ensure Contessa is your perfect refuge. 7" high density base, 2" of energex memory foam and 1.5" transtion foams layer to complete the design - a 15" thick promise of cozy, undisturbed sleep. The Contessa Mattress boasts high-end materials, "made in the USA" bona fides, and price point that's hard to contest!